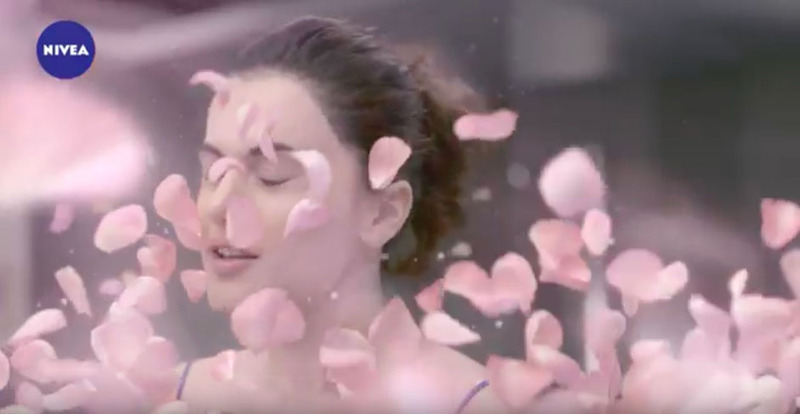 FCB Interface recently rolled out an intriguing new campaign for the launch of the new NIVEA Milk Delights facewash. The film opens in a bedroom, where we see the beautiful brand ambassador Taapsee Pannu, waking up in the morning. She drowsily walks towards her bathroom and reaches for the new NIVEA Milk Delights facewash. What follows are dramatic shots of her senses coming alive. We see water, milk and rosewater caressing her face and awakening her senses, one by one. She enjoys this moment to herself and the effect that the facewash has on her skin, which now looks healthy and supple. Neil George, Managing Director, NIVEA India, says “The Indian consumer is unique with a unique ‘need state’ and ‘skin type’. We were surprised to understand that there isn’t a single product that addresses the basic need of ‘healthy looking’ skin, which is the very definition of ideal skin by the consumers. NIVEA Milk Delights is a revolutionary approach towards the face cleansing category with a solution that addresses Indian skin requirements with the real goodness of milk and natural ingredients”. He further adds, “Championing our foray into the highly competitive face care segment is acclaimed Bollywood star, Taapsee Pannu who truly represents Emerging India. She is confident, authentic and caring and these are the values that resonate perfectly with NIVEA”.